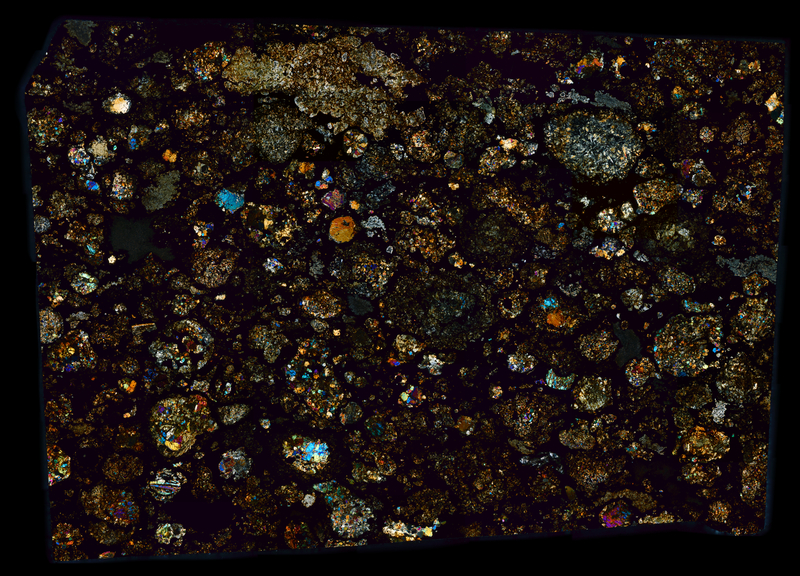 The NWA 5028 meteorite makes a stunningly beautiful thin section mosaic. With its large calcium-aluminum-rich inclusions and numerous chondrules, viewers are taken to an alien terrain billions of years old – to a time when the first objects were forming in the Solar System. Additional information at Meteorites Australia.